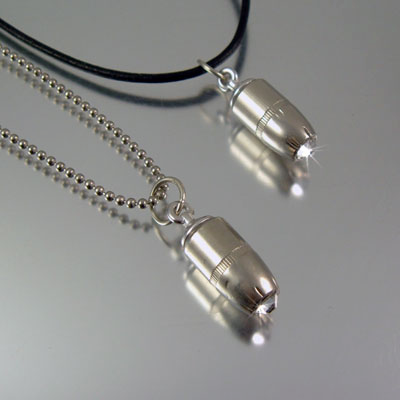 Bullet Charms. 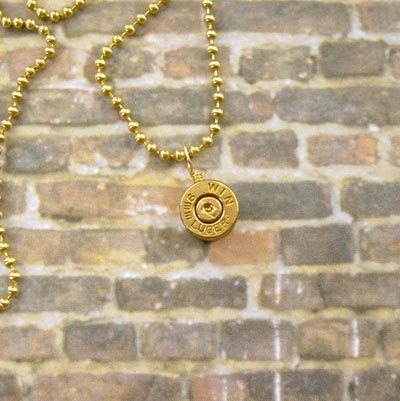 The bullet design that set the original standards for all other bullet charms. Stylish, simple and clean in design, trendy, and affordable. 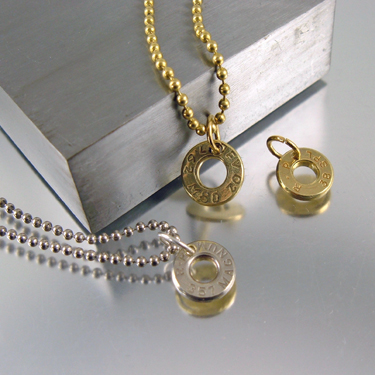 Each bullet charm is made from a recycled bullet casing. They contain no lead, and are safe to wear. Availabe in a variety of calibers; 38 Special,357 Magnum, 32's, 9mm, and whatever other sizes I come across. 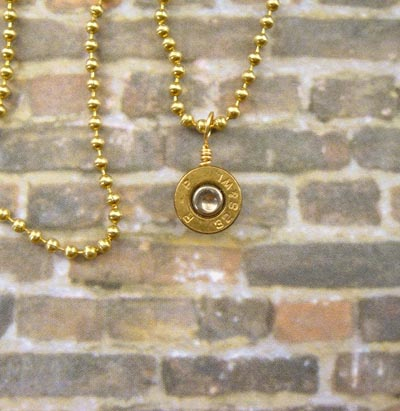 CAUTION - Be careful, I've seen bullet necklaces and charms being sold with live primers with the description saying they are safe to wear! Know who is selling to you; ask how and where they learned about the workings of firearms and bullets, ask where the primer came from and ask if they quarantee the primer has has discharged. 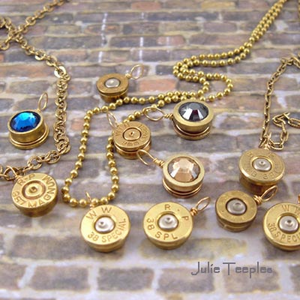 These bullet pendant necklace charms look incrediable on a variety of chain styles, cords or leather. 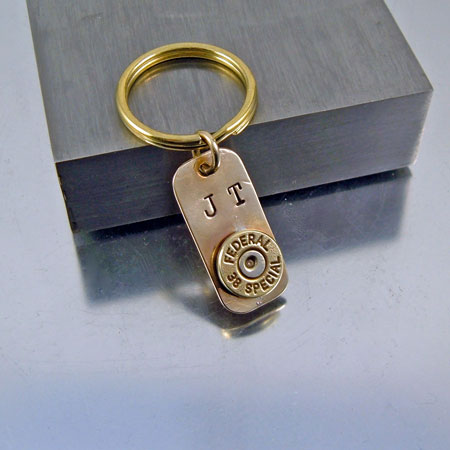 The charm can be placed on bracelets, worn on a cell phone, key ring or combined with other charms to create a unique necklace. 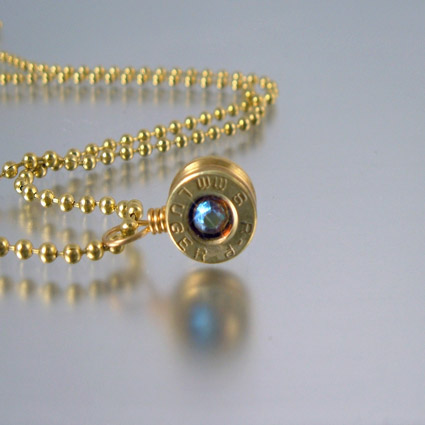 Want a birthstone color crystal or have a favorite color, not a problem, I can make your personal bullet necklace charm especially for you. Every bullet has a history regardless where it came from, locally or around the world. Spent casings litter our environment. 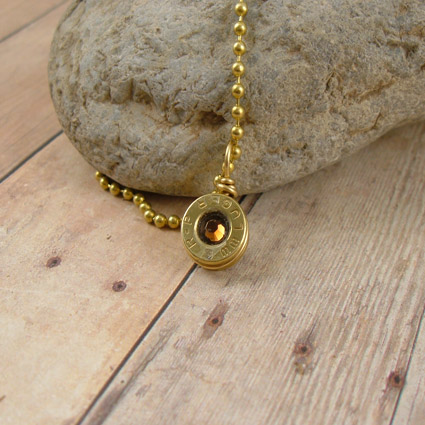 You'll find my bullet necklace pendant charms reasonably priced and above all, they are now being used as an item of beauty rather than littering the earth. Help clean up the environment; one item at a time. If you'd like to collect spent bullet casings and send them to me, I'd be happy to have them.